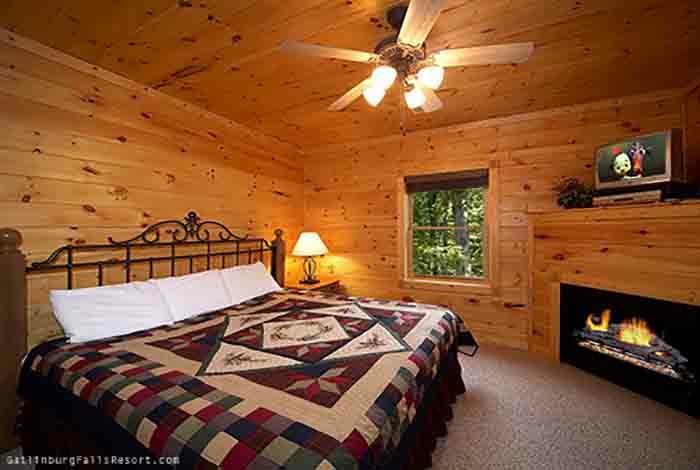 The Gatlinburg retreat of a lifetime would not be complete without staying in a premier cabin. 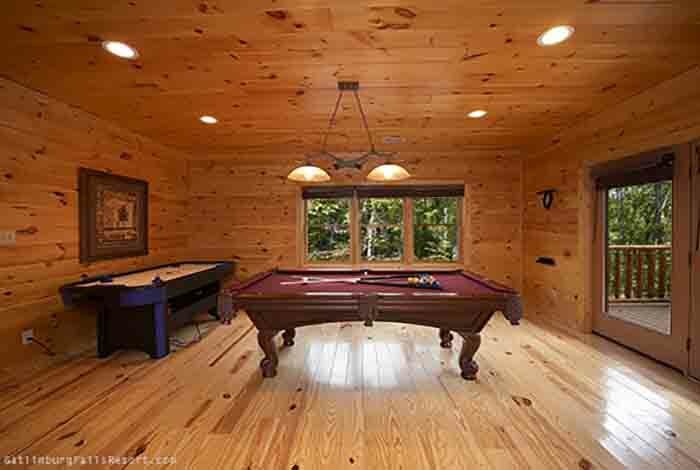 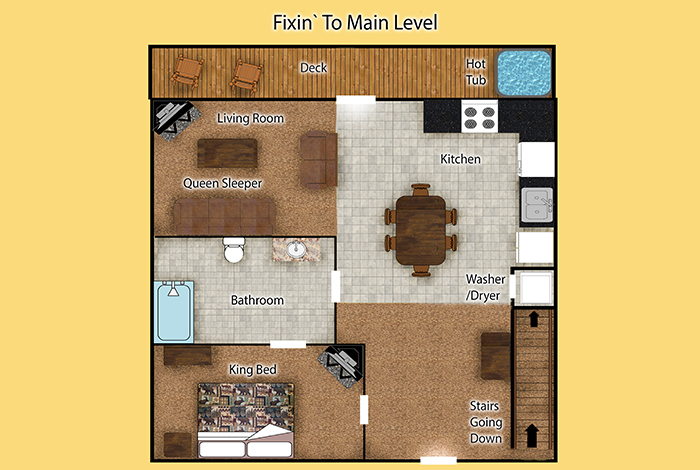 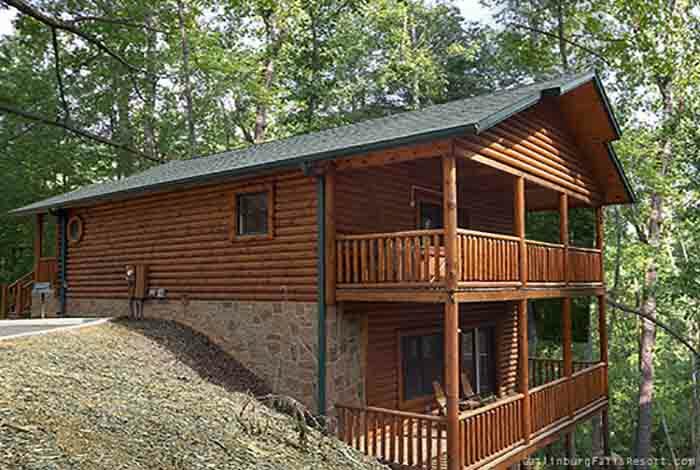 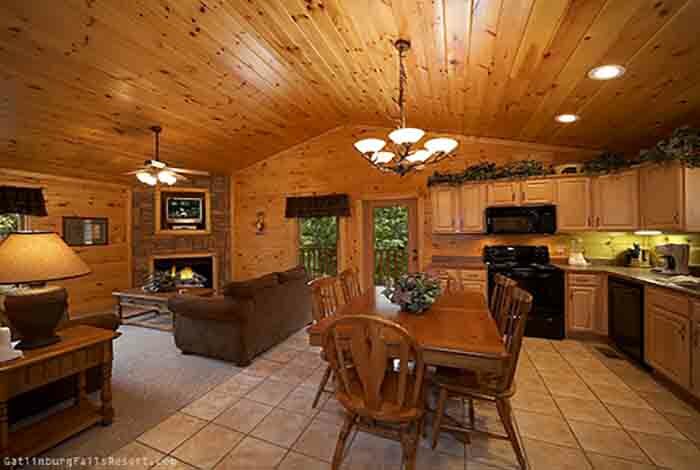 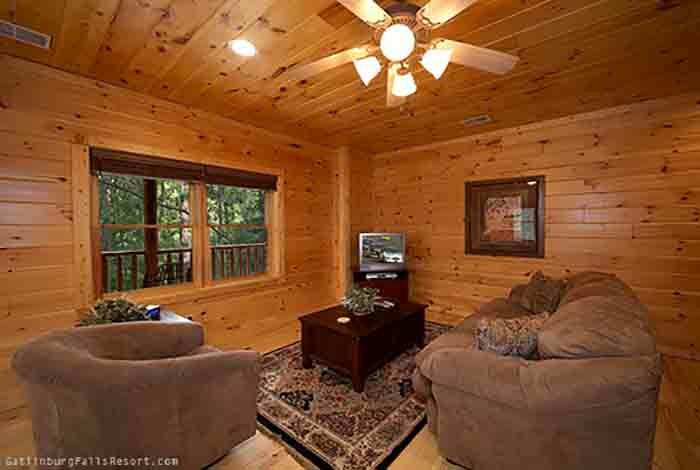 Fixin’ To is the 2 bedroom luxury Gatlinburg cabin rental that is sure to make your next Smoky Mountain getaway the trip of a lifetime. 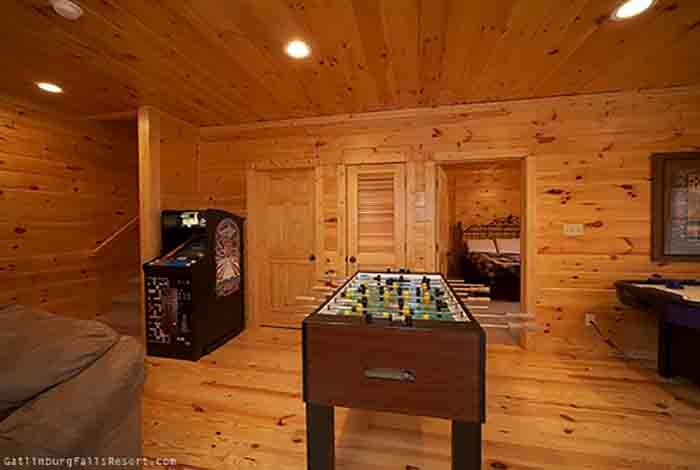 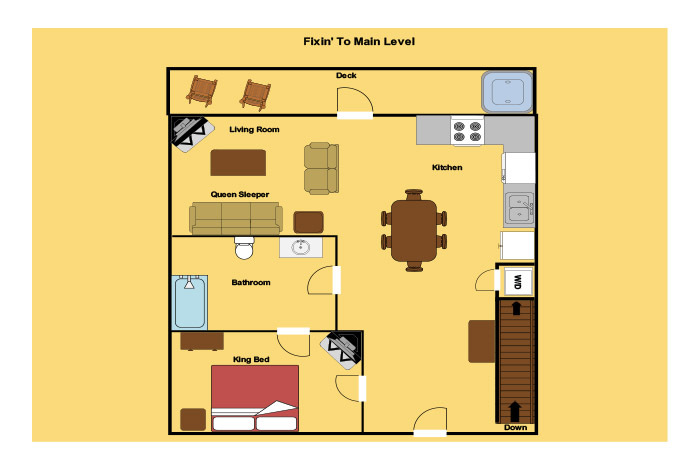 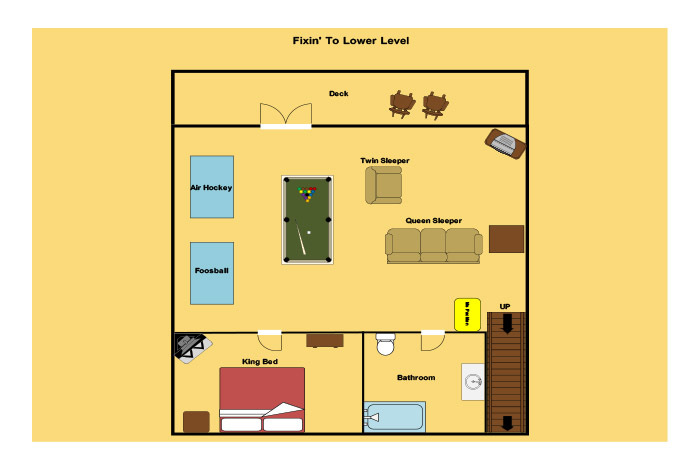 The interior features room to accommodate 8 guests, 4 TV’s with premium cable, Air Hockey, Foosball, Pool Table, 3 fireplaces, 2 bathrooms with vertical jetted shower spa in each, and Ms. Pac Man/Galaga arcade game. 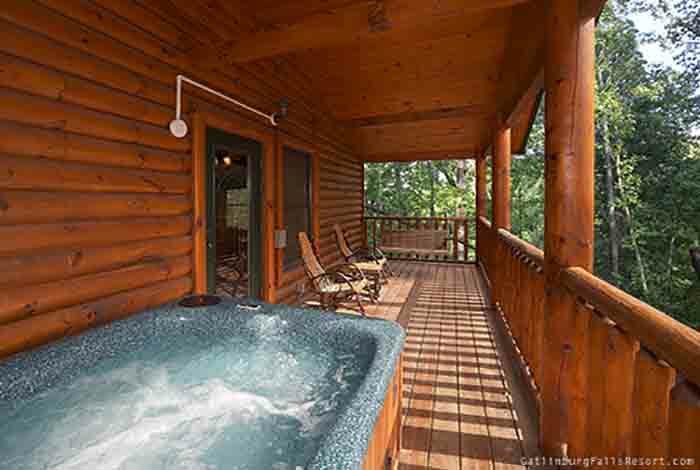 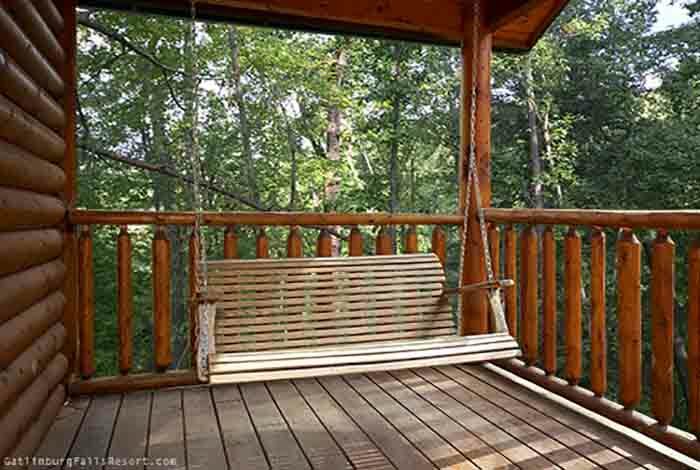 Relaxation is the theme on the deck which offers spectacular mountain views from your hot tub, porch swing, or Amish rocking chairs. 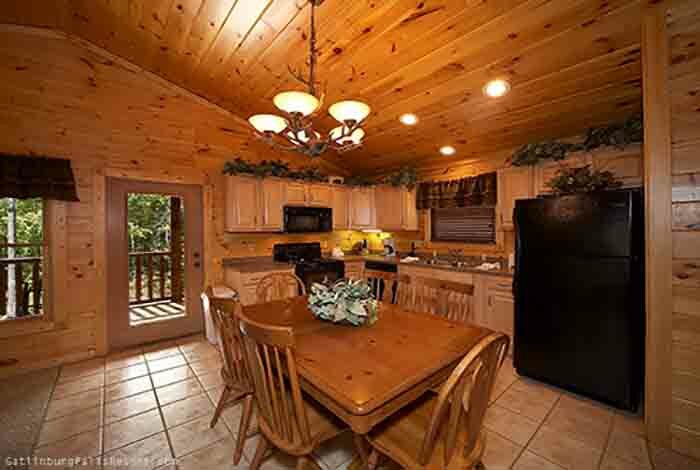 All this while being located just around the corner from downtown Gatlinburg in the secluded Gatlinburg Falls Hidden Valley Resort. 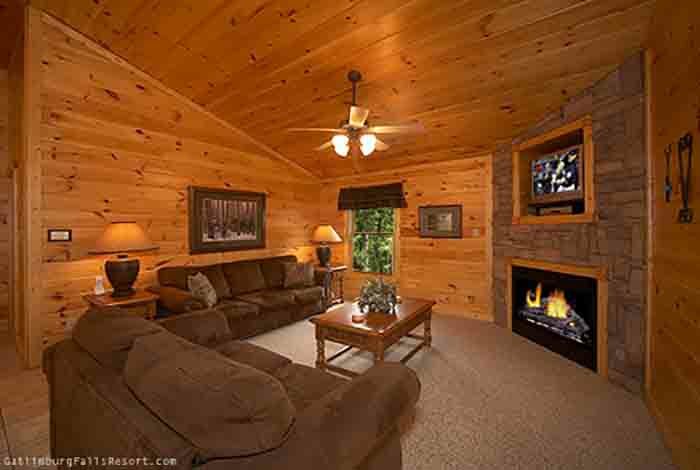 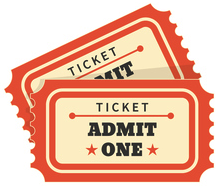 Your four-legged friends are invited to join in the fun as well because this is cabin is pet-friendly.